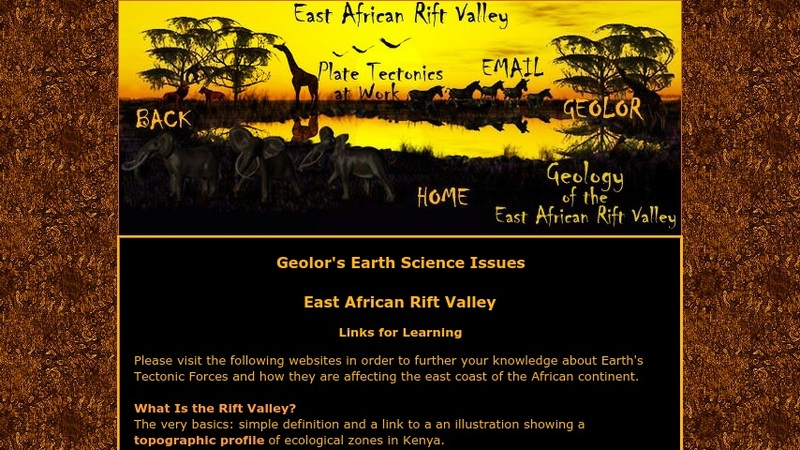 This web page contains links to a collection of resources devoted to the East African Valley Rift, with emphasis on environmental issues and concerns. It lists web addresses by subtopics, in outline form, with a short description to assist the viewer in searching for information. Topics include The Rift Valley, Stromboli online, African volcanoes, the Alid page, paleontology, and many more. The creator of this collection has checked uRLs provided for content and guarantees them to be quality web pages.